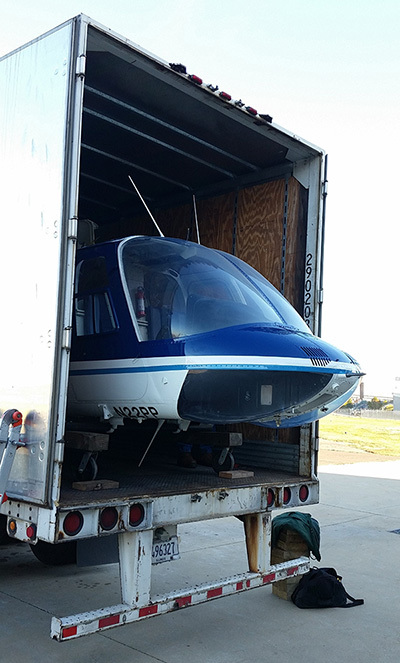 Restored Eagle One coming off of the truck at the Eagle’s Nest. 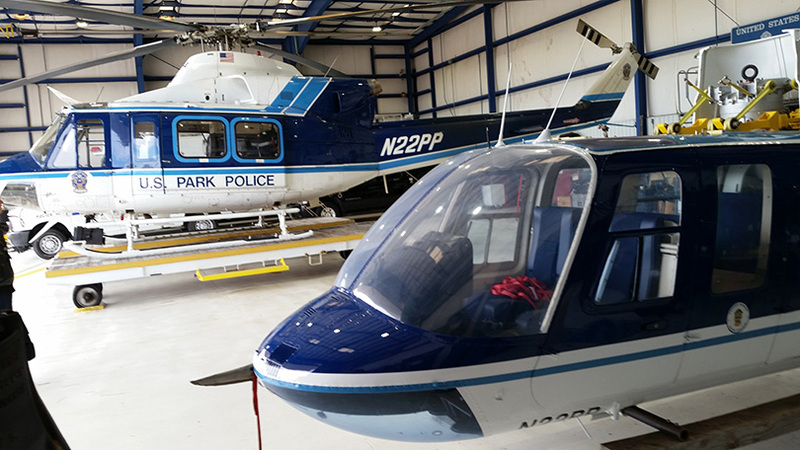 With construction of the National Law Enforcement Museum well underway, museum staff continue to prepare many of the artifacts that will be on display when the building opens to the public. 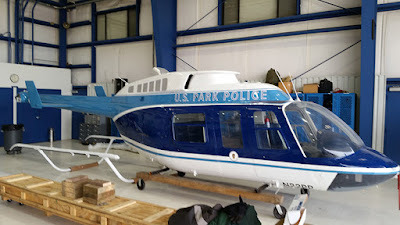 This includes the U.S. Park Police Bell 206L-1 helicopter that was used to rescue people out of the icy Potomac River after the crash of Air Florida Flight 90 in January 1982. 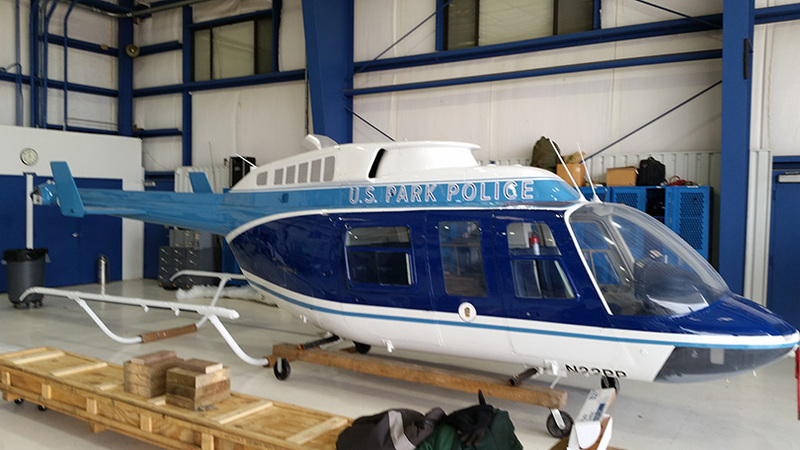 Now, fully restored to how it appeared on that day, Eagle One (c. 1982) has returned to its original home at the Eagle’s Nest, the U.S. Park Police Hangar, where it will remain until being installed in the National Law Enforcement Museum. U.S. Park Police officers were there for the arrival, and the museum is grateful for the temporary use of their space. Stay tuned for details about a possible Witness to History program in late January 2017, near the 35th anniversary of the Air Florida crash, featuring the story of how this helicopter was used in that amazing rescue. Park Police Eagle One helicopter (left background).